Snowshoeing is a wonderful winter activity for all ages and abilities—it’s easy to learn, affordable compared to other winter sports, and it is a great workout. Plus, many of your favorite trails to hike in the summer become stunning, snowy landscapes to enjoy throughout the winter months. What better time than the first installment of our 12 Months of Adventure series to celebrate this family-friendly and accessible winter sport? But before you hit the trails, you need to navigate the challenging problem of buying or renting new and unfamiliar gear. Purchasing a pair of snowshoes can be a difficult decision. What are the differences and what do you really need? Our friends at Tubbs Snowshoes put together a few guidelines to help you choose the best snowshoe. 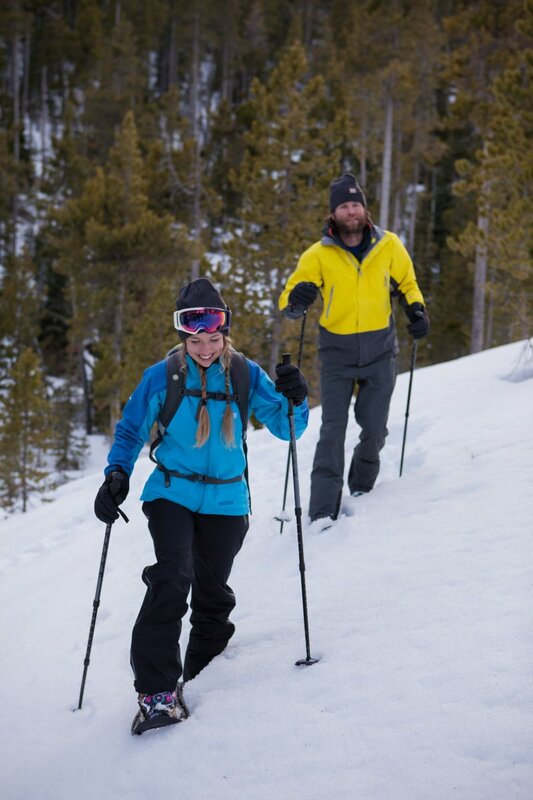 While not all snowshoes come in men's and women's specific versions, you should seek out snowshoes that are designed for your body. A women's specific snowshoe will have a narrower frame shape to accommodate a woman's narrow stance and a binding that is molded to a women's boot shape, while a men’s snowshoe will permit a wider stance and will permit a larger average boot size in the bindings. Great for recreational use on flat terrain. A perfect fit for a mix of flat and hilly terrain. Medium traction for uphill ascents and a heel lift to reduce calf fatigue. Padded bindings for day-long comfort. Best for steep, backcountry terrain. Aggressive traction for a secure grip on icy slopes and variable terrain. Precision-fit bindings for optimal performance. 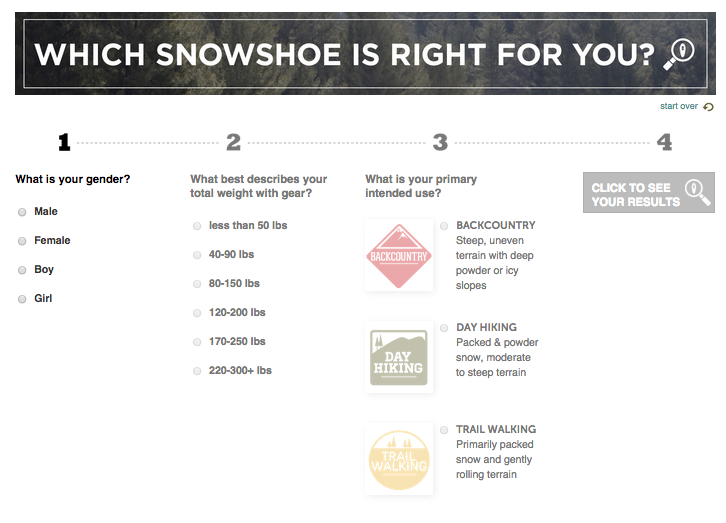 Snowshoes are sized by weight of the user, not shoe size. If you are planning on snowshoeing off trail, be sure to select a snowshoe that is the right size for your weight. Having a snowshoe that is too small will cause you to sink deeply into soft snow, while a snowshoe that is too large, conversely, will be heavy and clunky. Always consult the product tag, website, or a shop employee to learn what the best size for your weight is. And don't forget to add 5 to 25 pounds to that load depending on how much gear you plan to take with you! Need more help finding the best snowshoe for you? Check out Tubbs snowshoe advice, which will help you through the process.